You will certainly find it surprising to find a microregion rich in natural and cultural beauties near the city of Bojnice. Do not hesitate and come to discover interesting sights, neat villages, forests with creeks and peaceful places endowed with beautiful scenery. 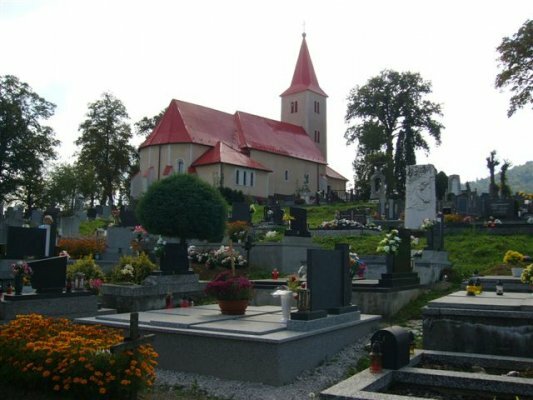 The microregion of Medzihorie was established on September 4th 1998 as a group of villages Horná Ves, Oslany, Radobica, Veľké pole a Veľké Uherce. The area of microregion is delimited by the borders of the cadastral area of particular villages. The microregion is located on the border between the Trenčín and Banská Bystrica region, at the border of the district of Prievidza (village of Horná ves, Oslany, Radobica), Partizánske (Veľké Uherce) and Žarnovica). The border of the microregion continues through the mountain range of Tríbeč and Vtáčnik and through the area of lower Nitra and Basin of Horná Nitra.The highest mountain is the peak of Buchlov at an altitude of 1040.5 m above the sea level in the mountain range of Vtáčnik. The area of our microregion is located in a large protected area – Protected area – Ponitrie. In the the protected area of Ponitrie, you can see the nature reserve Dobrotín rocks, which represent a dominant feature in the area of the region and are frequently visited by tourists. Furthermore, the area is endowed with the Dobrolín cave, which is 26 meters deep, and is interesting due to the incidence of invertebrate. What is worth mentioning is the protected limestone cave Veľkopoľská, which is located in Veľké pole. The rich history of villages is evident in churches and crosses reminding people of both tragic and joyful events. The visitors can enjoy an array of nature and cycling trails. The May of 2002 witnessed the opening of the 44-km long Cycling trail Medzihorie. Local forests attract a large number of mushroom pickers and tourists from all over Slovakia and foreign countries as well. If a tourist craves for other forms of relaxation, he/she has several options at their disposal such as horse riding and other forms of sporting activities. The church was built in 1332 in the gothic style on older basements. It was rebuilt in renaissance style in 1669, when a side chapel was built to the church. A single-nave building with a polygonal seal of the presbyterium and reconstructed tower. One of the dominant features of the village is the manor house built in 1622 by the order of Michal Bošány and his wife Margaréta during the Turkish invasion. The manor house was originally built as a renaissance building, but was rebuilt in baroque style in the 18th century. 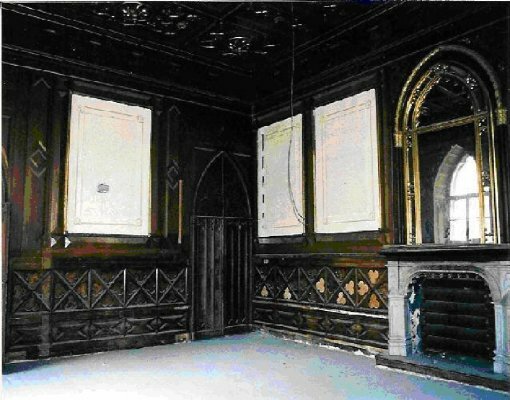 In 1860 it was completely rebuilt in romantic-neogothic style with the preservation of the part of the ground floor rooms. It is a 4-wing building built around a rectangular arcade yard with towers on the corners. The facade of the building is segmented by neogothic architectural elements. The double-tract ground floor has a neogothic chapel and richly decorated portal. On the second floor there are representative rooms with wooden facing and prototypal parquet. The romantic knight hall with busts of knights on the walls. In the interior, the tapestry placed in the ceremonial hall represents the king sitting on the throne and surrounded by a large number of figures. The relief portrait of the barone Thonet is from 1904 by P. Breithut. The rococo style frame comes from the second third of the 18th century. In 1865 the manor house was purchased by the family of Thonet, which owned the house until the end of the World War II. At present the manor house is owned by one of the descendants of the family of Thonet. Nowadays, it is inaccessible to the general public due to reconstruction. The chapel is located at the entrance into the village and is built in the form of a garden pavillion. At the top you can see the plastic art of piety from the beginning of the 19th century. The bell is from 1837 and was made by V. Littman. The memorial is situated in the center of the village opposite the post office. It was built to the memory of soldiers who fell in the first World War. On the rock pedestal is the sculpture of Jesus Christ with a cross and a soldier. The pedestal bears a list of fallen soldiers and the names of the author and people for whom the memorial was built. One of the cultural sights is the Roman-catholic originally built in 1950 and reconstructed in 2001. One of the cultural sights is the Roman-catholic church built in 1617 in the gothic style. The church has been consecrated to all saints. Before the church in 1972 a chapel was built to commemorate the big hail, which destroyed the whole village. What is worth mentioning when it comes to secularly sights is the Memorial of the fallen soldiers, which is placed in the center of the village. This memorial was built by German citizens living in Veľké Pole, because the village Veľké Pole was a German village and these German citizens were moved to Germany in 1946. Among the cultural sights is a Roman-catholic church built in 1332 in gothic style and rebuilt in 1495. The church was reconstructed in the years 1756-1768 in the baroque style, which is the present image. The patron saint of the church is St. Stephen, the Hungarian king. Near the church is the statue of St. Joseph's, which has been newly reconstructed. Among the cultural sights is the roman-catholic church built in 1787. Alexander Majthény and his wife had this church built in 1787. At present only the ruins of the fortification with a single preserved basement. At the beginning of the 15th century the village owners, the family of Hunyady, built a fortified building of an early-medieval manor house. 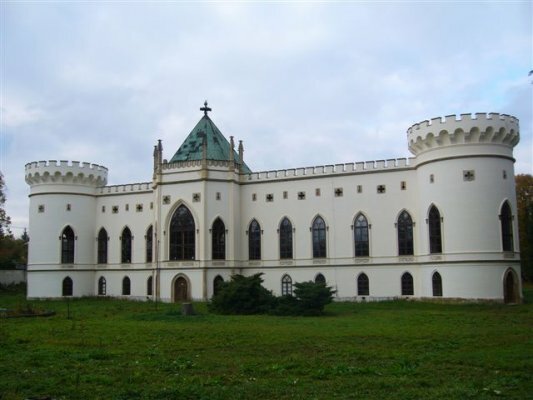 In the 16th century, the building was renewed in the late gothic style of a renaissance castle. During the second World War the castle was badly damaged and gradually devastated. • New Year's Eve Concert of Brass bands (the village of Veľké Uherce). • Burying the bass connected with dancing (all villages). • Carnival for children (the village of Veľké Pole). • The carnival season parade through the village (villages Radobica, Horná Ves). • The public carnival-season hog-killing (the villages of Veľké Pole, Oslany). • Welcoming the spring season – Carrying out Morena (the village of Horná Ves). • Raising a Maypole (all villages). • The anniversary of the end of the Second World War (the village of Veľké Uherce). • Burying the bass connected with dancing (the village of Veľké Uherce). • The Day of Medzihorie (organized by one of the villages in the microregion). • Motocross race (the village of Veľké Uherce). • Football tournament for the Cup of SNP (the village of Veľké Uherce). • Football tournament of the group of villages Šípok (the village of Veľké Uherce). • Cultural and social events to celebrate the anniversary of church consecration (feast of the village of Veľké Pole, Oslany). • Celebrations of SNP- feast by the bonfire (the villages of Radobica, Horná Ves, Veľké Uherce). • Carnival for chidren – at the end of the summer holidays (the village of Horná Ves). • The Festival of Brass Bands (the village of Veľké Uherce). • Marian pilgrimage at the Calvary (the village of Veľké Uherce). • The exhibition of the Works made by skilled hands from the gifts of nature in the local church (the village of Radobica). • Christmas carols, performance of a music band, or a hosting dancing company (the villages of Veľké Pole, Oslany). • Feast by the fir tree and singing Christmas carols in the village (the village of Radobica). • Feast by the fir tree for senior citizens (the village of Horná Ves).